The best-selling author of children's fantasy trilogy His Dark Materials has been made an honorary professor at Bangor University. 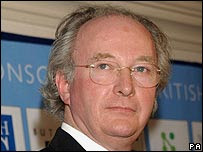 Philip Pullman, who was educated at Ysgol Ardudwy in Harlech, is already an honorary fellow of the university. The writer will take seminars for Bangor students and host discussions on literature and narrative structures. He said he was "delighted" to accept the role because he associated north Wales with his first real writing. "It's not too much to say that my awakening to the pleasures and responsibilities of literature took place in Miss Enid Jones' English class at Ysgol Ardudwy in Harlech," he said. Speaking to BBC Wales last year, Pullman said he was "intoxicated" by the landscape of the region as he was growing up. "I wanted to be a painter when I was a teenager and I spent a lot of time drawing and learning to look at things." Pullman's appointment in the arts and humanities department follows careers as a teacher and a teacher trainer. He has written more than 30 books altogether with his most famous works being the best-selling His Dark Materials trilogy. 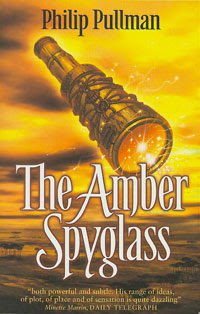 The last book in the trilogy, The Amber Spyglass was the first children's novel to win the Whitbread Book of the Year award in 2002. The first book has been made into the film, named The Golden Compass and starring Nicole Kidman and Daniel Craig ,which receives its world premiere in London on 27 November. The movie also stars Bond girl Eva Green and 13-year-old newcomer Dakota Blue Richards as the main character Lyra. Bangor University vice chancellor professor Merfyn Jones said Pullman's appointment was a "magnificent boost" for literature students and the university. "Philip Pullman is one of the finest writers writing in English today, and he is passionately interested in education - we are delighted to have been able to make this appointment." The author added: "This is an exciting time to come to Bangor University, with its emphasis on creative work in many fields. "I look forward with great pleasure to meeting colleagues and students and exploring the subject of narrative with them."